Small 1.5 – 2 cm specimens from Mexico. 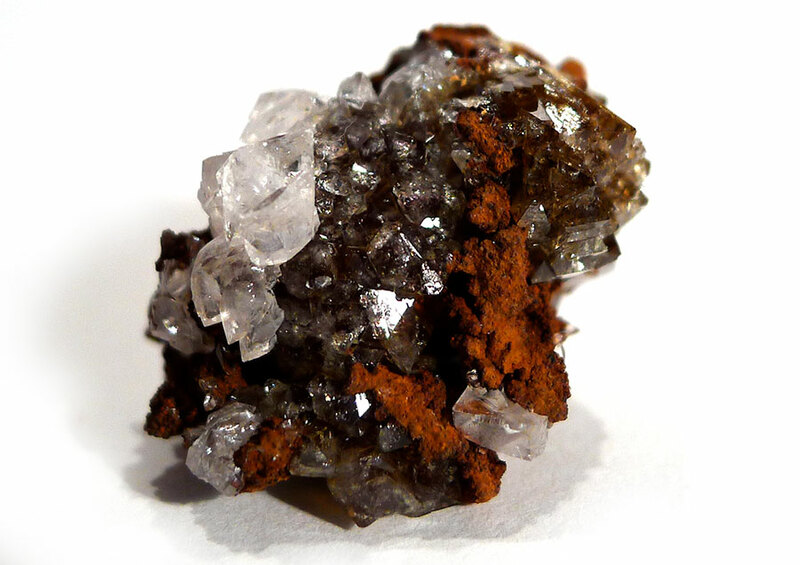 The crystals form nodules with a deep, rich colour, on Limonite. Many examples also have clear Hemimorphite. The crystals are all roughly the same size, about 1 – 1.5 cm. Properties: Adamite has a profound stimulating effect on the sacral chakra, with a connection to the root and earth chakras. Energy flows down the legs and into the ground, creating a sense of being “rooted” to the earth, linked to the energies of the earth itself and all life that goes on beneath the surface. Time seems to slow, until you can sense the growth of trees and the even slower geological process. Adamite can aid meditation by drawing down and embedding spiritual energy, thereby quieting “monkey mind”, bringing stillness and deepening the meditative state, and can also be used in shamanic journeys to create a path below into the other world. Its grounding qualities help to calm and clear the mind in general, and the warmth it brings to the sacral area strengthens self-belief and dispels inertia. Adamite can be helpful in treating illnesses of the gut, but take care when using as a remedy for irritable bowel syndrome (IBS), which often needs a more gentle approach.